Last September I spoke with author, editor and blogger, Deborah Kalb. 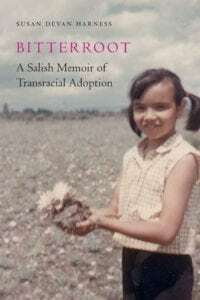 It was the first interview I had done regarding the writing of Bitterroot: A Salish Memoir of Transracial Adoption, and it was eye-opening for me. I’d finished writing the book, but I had not spent a lot of time reflecting on it; after three years of writing over a five year period, I was burned out. Ms. Kalb’s questions reignited the passion I felt for this work. Give a read by clicking on this hyperlink.